8 mi. NE, on Buckatunna Creek. Organized with 11 members, March 31, 1821, in John Keahey home. 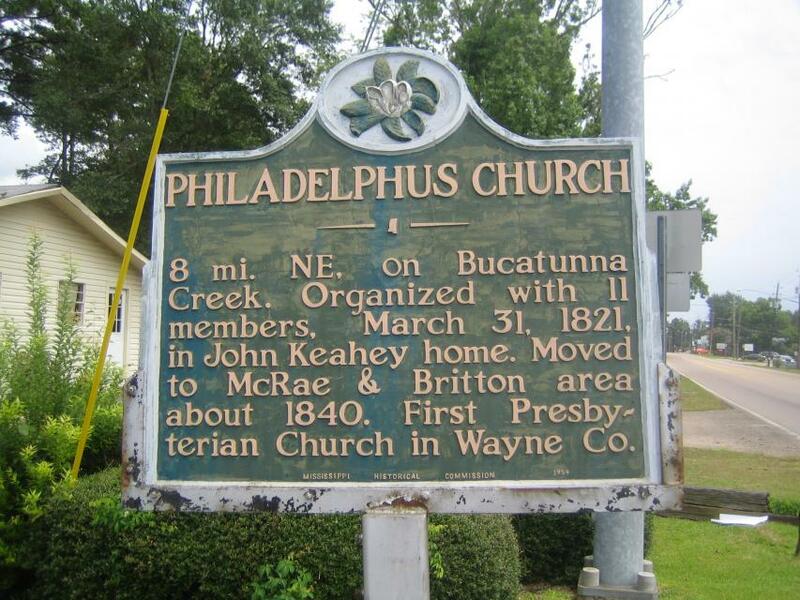 Moved to McCrae & Britton area about 1840. First Presbyterian Church in Wayne Co. .. This marker can also be identified by its HM code. You can use the hashtag #HM1IUS in tweets, and any other place where you might refer to this marker, including when searching on this site.